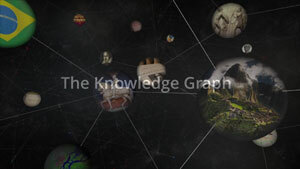 Yesterday, Google announced what they are calling the knowledge graph. In short, it provides answers directly in the search results sourced from third parties such as Wikipedia but driven from their acquisition of Metaweb in 2010 and the FreeBase database. Now, answers in search are nothing new - Ask.com, Bing all have been doing it and Google has been doing it as well. But this is Googles attempt to take what they have done further. Here is a video demo of how Google explains it but Danny Sullivan digs really deep on this topic at Search Engin Land - so I won't repeat what he said. I personally do not see the knowledge graph yet with those knowledge panels but Branko Rihtman aka @neyne shared some screen shots of it for me. Google Labeling Me An SEO Expert? 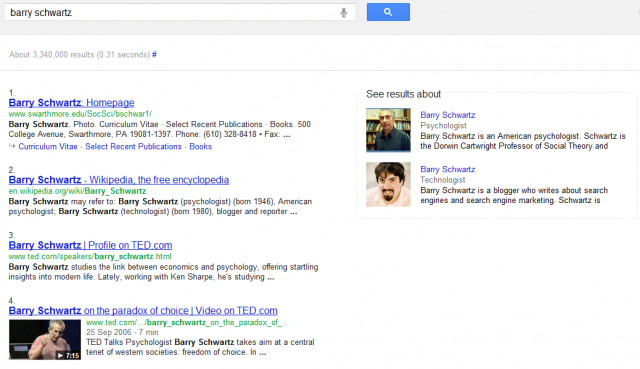 What is interesting is that when you click on my information, it not only brings up my panel but also changed the query to read "barry schwartz search engine optimization expert." I am not sure where this label is coming from? It doesn't say "expert" on Wikipedia. 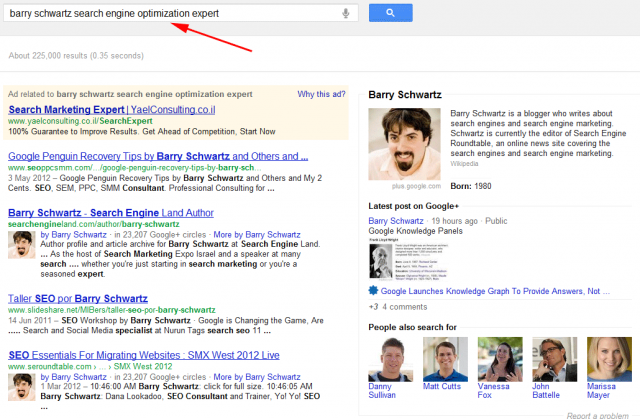 I guess now I can go around and tell people Google certifies I am an SEO expert? I am kidding of course but is Google labeling people with this new knowledge graph system? Possibly. Forum discussion at Google Web Search Help, WebmasterWorld & Google+.